Migrants and Irish politics | Come Here To Me! Edmond Lukusa, from the Democratic Republic of the Congo in Central Africa, has made history by becoming Dublin’s first elected Black Politician. Representing Sinn Féin in the Mulhuddart ward of Fingal County Council, Councillor Lukusa received 353 first preference votes and was (greatly) helped across the finishing line by his running mate Paul Donnelly who topped the poll. Lukusa moved to Ireland with his wife and family in 2001, became an Irish citizen in 2007 and joined Sinn Féin shortly afterwards. In his home country, he was active with the Centre-Left party ‘Union for Democracy and Social Progress’. He was not the first and certainly won’t be the last migrant to achieve electoral success in his adopted country. Dr. Moosajee Bhamjee was described brilliantly by Patsy McGarry in the Irish Times as the “first ethnic Indian Muslim socialist psychiatrist” to be elected to the Dail. He represented the Labour Party in Clare from 1992 to 1997. 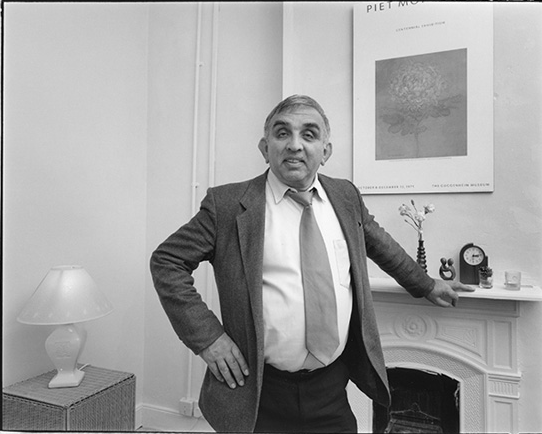 Born in Pietermaritzburg, South Africa to parents who had emigrated from Bombay at the turn of the century, Bhamjee moved to Dublin in 1965 to study medicine at the Royal College of Surgeons. During his time here, he met an Irish woman Claire Kenny at a student party in Rathmines. After several years of a romance that criss-crossed between Ireland and South Africa, Bhamjee returned to Ireland in 1975 where he went onto marry Claire and have three children. Training as a psychiatrist in Cork, Bhamjee started a permanent post at Our Lady’s Hospital in Ennis in 1984. He got involved in local politics, founding the Kilmoran Residents Association and becoming active with the Clare Divorce Action Group. In 1991, he joined the Labour Party and took the political establishment by surprise when he won a seat in the General Election of 1992 with 5,113 first preference votes. He was affectionately nicknamed “the Indian among the cowboys” by the Press. Talking to the Irish Times in 2010, Bhamjee described his early “disillusionment” with Dail politics. He found himself dealing with “trivial things” like lighting and potholes when he wanted to engage in national issues like health and education. He retired from politics at the following General Election. A liberal Muslim – “something like a lapsed Catholic” he once quipped – Bhamjee drank alcohol and told a newspaper that the person he admired most in the world was Vietnamese communist revolutionary leader Ho Chi Minh. 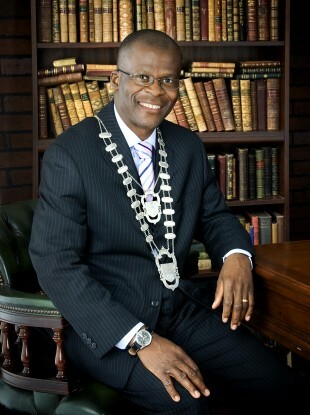 Rotimi Adebari made history in 2007 by becoming Ireland’s first Black Mayor. He was elected as mayor of Portlaoise Town Council with support from Fine Gael, Sinn Féin and an Independent councillor. He retained his seat in 2009 but lost it this year. 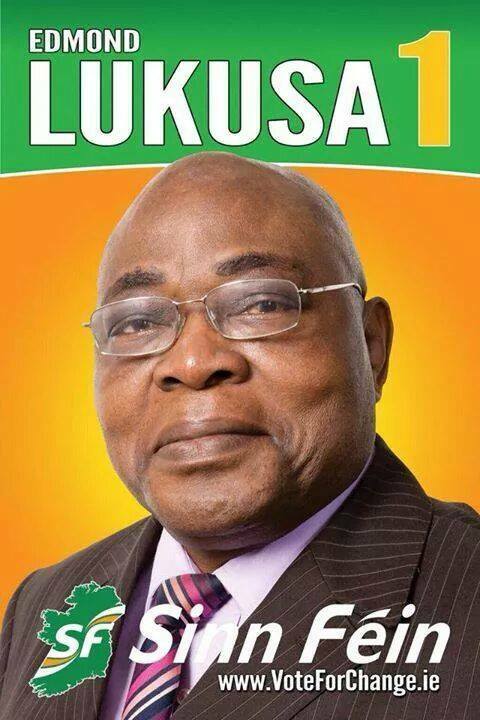 In 2004, Nigerian Born Dr. Taiwo Matthew was elected to Ennis Urban District Council as an Independent Councillor. He has not ran since. Do you know of any other people of colour who have successfully contested an election in Ireland? It may not be widely known that London’s first Black Mayor was half-Irish. John Archer (1863 – 1932), whose father Richard Archer was from Barbados and mother Mary Theresa Burns from Ireland, was born in Liverpool. 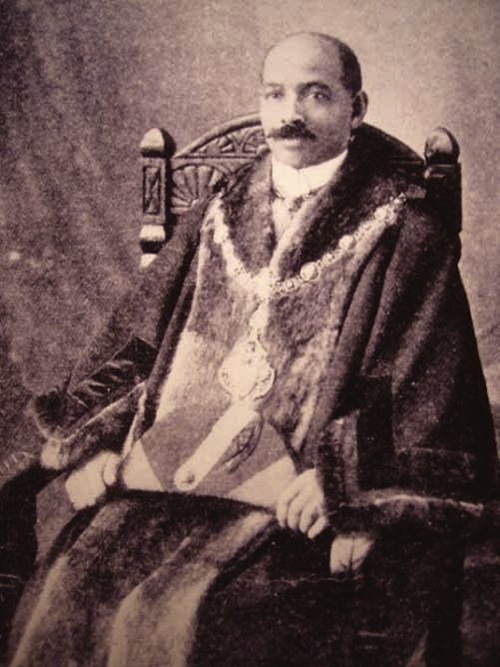 He became one of the first people of African descent to be elected to public office in Britain as a councillor in Battersea, and in 1913, the first black mayor in London. Archer was active with Labour Party and the African Progress Union and became election agent for Irish socialist and suffragette Charlotte Despard in 1918 her bid for parliamentary candidate in North Battersea. Another fascinating mixed-race character is Len Johnson (1902 – 1969) from Manchester. A legendary professional middle/light heavyweight boxer of the 1920s and ’30s, Johnson was also a life-long Socialist and ran for the Communist Party in his local Moss Side in six different elections. The son of a merchant seaman from Sierra Leone and an Irish Mancunian mother, he is considered one of the best boxers of his generation. Johnson went onto raise a family with an Irish woman. His story has recently been picked up on by the Telegraph and a play about his life is due to feature as part of the Manchester Fringe festival in Paul Heaton’s The Kings Arms in Salford from 15-18 July. 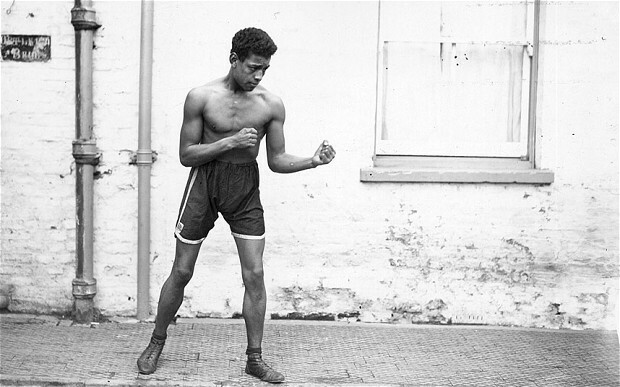 Len Johnson, legendary Manchester boxer and Communist activist. Credit – telegraph.co.uk. Also the latest play is not the first, in 1987 Frontline Theatre, a community company, produced a leftwing production which was staged at the Working Class Movement Library in Salford. Up until 10 years ago, anyone born in Ireland had the right to Irish citizenship, no matter where their parents were born. But no more: people born in the 26 or in the 6 Counties do not have the right to Irish citizenship unless they have and can prove an Irish-born parent or grandparent. This is of course designed to exclude most people and especially those from Europe (outside) Britain, Africa, Asia and Latin America. Ten years ago a referendum was held on whether to alter the Constitution to deny Irish citizenship to migrant’s children born here Irish (unless they had at least one Irish-born parent or grandparent). Newly returned to Dublin after decades in London, I saw a poster for a protest meeting by the Labour Party and another by the SWP or SP but no others. There were local elections the same year and the SF election leaflets I saw in Dublin did not even mention the issue, although their official policy was against the amendment. Sadly, the amendment was carried and is part of our nationality law. The SF election slogan was, ironically, for “A Nation of Equals”. PS: with regard to the part-Irish Mayor of Battersea, London, I remember that while politically active in that area decades ago, the case of Saklatvala Shapurji was brought to my attention. From India, he was elected Labour MP for the constituency in the General Election of 1922. He lost his seat a year later but, in December 1923, was elected as a member of the Communist Party of Great Britain and held the seat until 1929 when defeated by a Labour candidate. Diarmuid, the Amendment was not phrased as you put it. The Amendment extended the right of birthright citizenship to those born of Irish parents or with Irish grandparents as well as those born of non-national parents with a right to Irish citizenship. Thus a child born of a non-national parent habitually resident for 4 of the last 8 years would have the right to acquire citizenship upon their parent exercising their right to Irish citizenship. We can argue over the motives behind the text of the amendment but we cannot argue over the text of the amendment!